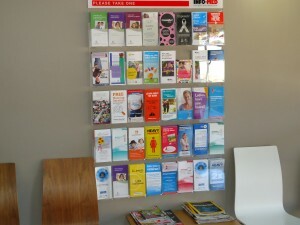 Florey Medical Centre offers a wide range of services, some of which are outlined below. For more information please call reception on 6259 1444. We encourage patients to make appointments with the doctor of their choice, however we recognise that you cannot always predict when you will need to see a doctor and that there are occasions when you will need to see your doctor as soon as possible with little or no notice. Because of this, we welcome walk-in patients, however, patients with appointments have priority over those who do not, and those patients without appointments will wait longer than those who do.While we try to maintain appointment times, some problems take longer to deal with than others. Please be patient and understanding – the doctor will also give you all the time you need. Your help in requesting extra time for complex and thorough examinations such as annual health checks, multiple problems, surgical procedures, mental health plans and travel health would be appreciated. If you are experiencing chest pain, heavy bleeding or difficulty breathing we recommend that you go to your nearest hospital immediately. Please advise the receptionist on arrival if you believe you require urgent medical attention. Our doctors are independent practitioners and set their own fees. The fee will vary with the length, complexity and type of the consultation. Longer than standard consultations attract a higher fee. Consultations after-hours, weekends & Public Hoidays also attract higher fees. Please call reception on 6259 1444 for more information. All workers compensation cases require proof of the insurer’s acceptance of liability for accounts to be issued directly to the insurer, otherwise patients must pay for the consultation themselves. For existing patients of Florey Medical Centre, please contact 6259 1444 for instructions. Home visits are available for regular patients of Florey Medical Centre who cannot attend the surgery due to their medical condition. Please call reception on 6259 1444 for more information. When you require a repeat prescription we request that you make an appointment to see your regular doctor. In cases of urgent need, at the discretion of your regular doctor, a repeat prescription may be written without a consultation. A small administration fee is charged for this service, for which there is no Medicare rebate.Referrals ensure that you are referred to the appropriate specialists. Medicare does not allow backdated referrals. Referrals written without a consultation may incur a small administration fee. Medical Certificates are a legal document. It is illegal to back date medical certificates and they will only be issued for genuine medical conditions that require time off from work or study. To obtain a medical certificate you must have a consultation with a doctor. A small fee may be charged for replacement medical certificates. We recommend that patients return for a follow up consultation to discuss the results of all tests. Your medical record is a confidential document. It is the policy of this practice to maintain the security of your personal health information at all times and to ensure that this information is available only to authorised members of staff. For in-house research, practice meetings and quality assurance only de-identified information will be used. All patients are automatically enrolled in our internal recall and reminder system for regular health checks such as blood pressure and cholesterol. Please let your doctor know if you do not want this to occur.Notification of all pap smears, childhood immunisations and some adult vaccinations will be provided to the relevant national registry. Please advise your doctor if you do not wish this to occur. 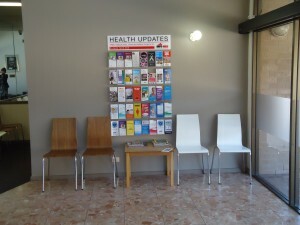 At Florey Medical Centre we welcome your comments on how to improve our services. Please talk to your doctor or our receptionists about your concerns or suggestions. In the unfortunate event of less than satisfactory service from administrative or medical staff please ask to speak to the doctor concerned, Ms Megan de Vries or Dr Siew Leong Lo. Our doctors are independent practitioners and are individually responsible for their clinical decisions.You can also lodge an official complaint with the Health Complaints Commissioner at GPO Box 158, Canberra, ACT, 2601. We are open most Public holidays from 9:00am to 3:00pm. Please contact the practice for further information.